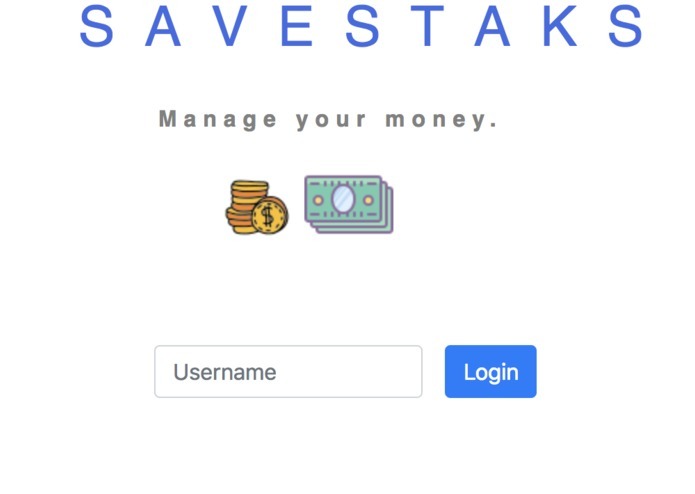 SaveStaks is a web application that is aimed at empowering people to achieve their financial goals. Many people, including ourselves have trouble achieving long term financial goals due to their inability to know if we are on track or not. 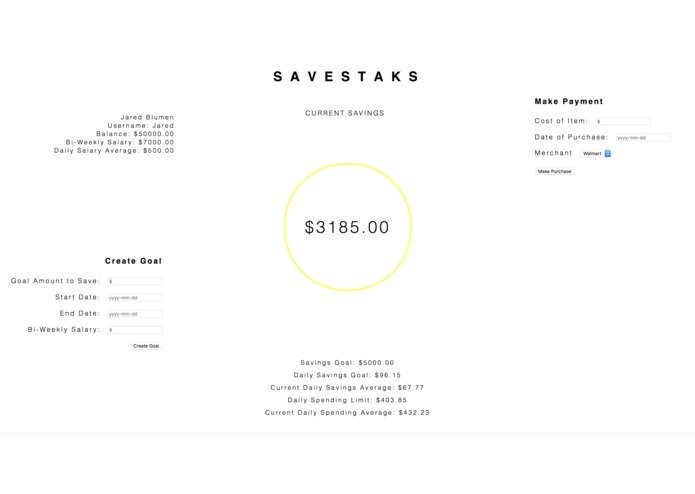 We wanted to build a tool that showcases our daily savings after purchases and guides us to saving more money. Building a working prototype and learning new technologies. Continue to build and think of ways to help people save money and improve financial habits.